Decanting is an elegant process that involves pouring the wine from the bottle into a larger vessel with a narrow opening at the top. This allows the wine to sit with a wide surface area exposed to the air, while minimizing the bombardment of new oxygen from the small opening at the top. Decanted wine can sit for hours without risking spoilage, though only 20 minutes to an hour is really needed. Aerating is a quick method of introducing oxygen into wine by pouring it through a “bubbler” system that churns the wine to wake it up. Instead of the wine sitting for twenty-plus minutes, you get more of an instant-gratification. So how do you decide which wines need what method? I usually go by one rule-of-thumb: decant old wines, aerate young ones. Powerful young wines like New world Napa Cabernet Sauvignon or Australian Barossa Shiraz may benefit from a trip through the aerator. Wines like Bordeaux, Burgundy, or Barolo that have been nestled deep in a cellar for years will call for a decanter. 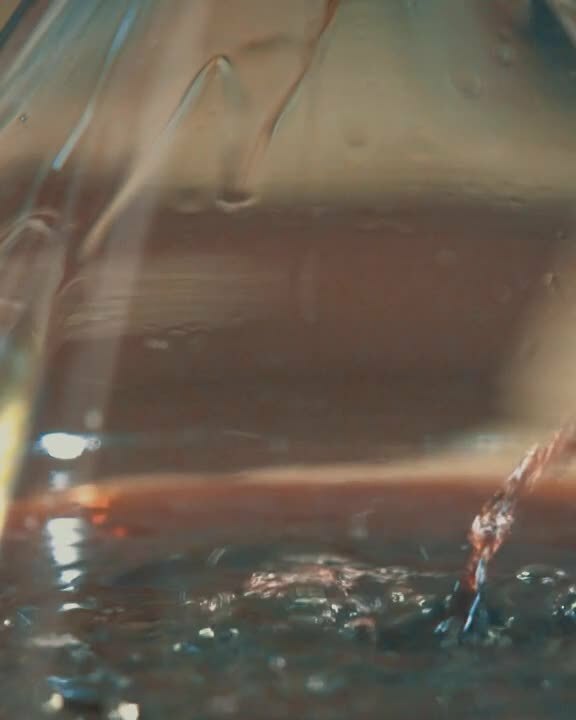 Younger wines tend to be “tighter” and have sharper tannins. Aerating will help to knock the edges of younger wines, making them appear more refined and ready-to-drink. Older wines can be more fragile and may not respond well to the borderline violent oxygen assault received from aerating. Older wines can also throw a sediment that will have a chance to settle out in a decanter. Remember, the main goal here is to maximize the wine’s contact with oxygen in the appropriate amount of time needed. Ultimately the choice is yours. The fun of going around with an aerator pouring a glassful at a time is appealing to some, although I do not use them myself. Others prefer the look of a wine sitting peacefully on a dinner table, awaiting its time to shine, which is more my style. Since you are going to be the one drinking it, the decision of which to use falls in your hands. After all, you know your collection best, and should you choose to use them, decanters and aerators can be some of the best tools in your arsenal. Want to test your new decanter or aerator out? Check out these 5 highly-rated wines under $20.